You need lobster rolls in your life. Hot buttered lobster rolls to be specific. From Boston to the Cape to Connecticut, here are five you should include in your summertime seafood excursions. Sweet, fresh lobster meat begs for umami. My argument is simple: butter is a superior complement to lobster than mayonnaise, and hot lobster is better than cold lobster. Thus, to my tastebuds, the hot buttered lobster roll bests the traditional cold-with-mayonnaise version. Luckily, we New Englanders appreciate these grumpy crustaceans and so one doesn't have to go far to find a lobster roll around Boston. (A good lobster roll is a different story.) But most of these will be the cold-with-mayo "Maine-style," as I've heard it called, rather than the hot buttered "Connecticut-style." Thus, finding a good hot buttered lobster roll takes a bit more effort. Luckily for all you hungry folks, I've been on the hunt for a few years. I take lobster rolls seriously. Maybe not as seriously as Lobster Gal, who wrote the book — and the blog! — on lobster rolls in New England (hot-with-butter and cold-with-mayo alike). But seriously enough that I own her book and try to convert family, friends and complete strangers to join me in my passion for the hot buttered lobster roll. My public service efforts appear to be working, as I believe more restaurants around the Boston area offer the hot buttered variety than a year ago. Do I still love the cold-with-mayo lobster roll? Of course I do. But when given the choice, I’ll pick the hot-with-butter every day of the week. Here are five of my favorites. Curious new patrons and loyal old ones endure some of the longest wait times in the city — often two to three hours even on weekdays — to squeeze into Neptune Oyster, seated elbow-to-elbow in the cramped North End space on Salem Street. The wait is worth it for fresh oysters, fried Ispwich clams, a Johnnycake topped with smoked tartare, sturgeon caviar and honey butter. 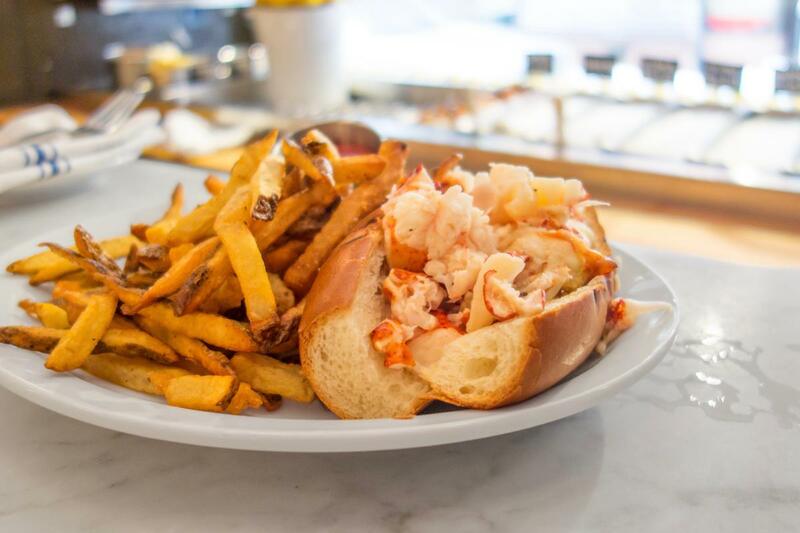 And of course, the most famous hot buttered lobster roll in Boston, served big enough to feed a sea monster with a side of crispy fries that you won’t be able to finish. This trendy oyster-and-beer bar in Boston’s Fort Point neighborhood is a sister restaurant to the beloved Island Creek Oyster Bar. The younger sibling quickly developed its own loud following by doing its specialties well, plus everything else (crudo! cornbread! dessert!). 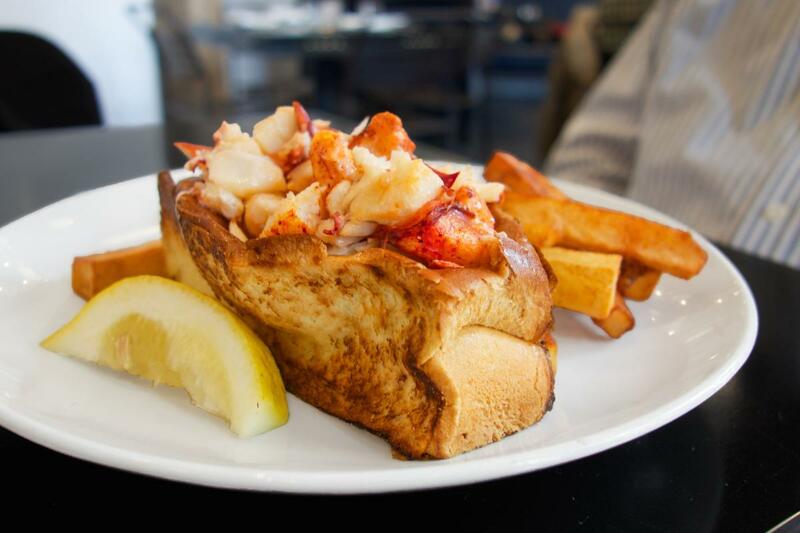 The butter-drenched lobster is served on a toasted hot dog bun with homemade potato chips. If you like your seafood with a side of authenticity and nothing else, Lobster Landing is the place for you. This tiny seafood shack located in Clinton, Connecticut, is just a few minutes off Route 95. And when I say “shack,” I’m not talking some cutesy reminds-you-of-a-shack setup. You’re in a literal shack with crushed shells for a floor and canvas for walls. The lobster roll arrives wrapped in aluminum foil, smaller than the ginormous lobster rolls I became accustomed to at Neptune Oyster but more than holding its own when it comes to hot fresh lobster meat. For those who are brave enough to endure the crowds and traffic on Cape Cod during the summer, clearly you’ve earned a lobster roll. My pick in the Cape area is Arnold’s in Eastham, and not just because it has mini golf. The lobster roll (pictured above) is served in a hot dog bun and is the only hot buttered lobster roll I’ve had in recent memory with lettuce on it. While the bread itself is not outsized, the ruby-red chunks of lobster claw meat heaped onto it sure is, so be sure to grab a fork. For years I was sad because Legal Sea Foods didn’t offer a hot buttered lobster roll. I felt like this was such an obvious match, it drove me crazy. 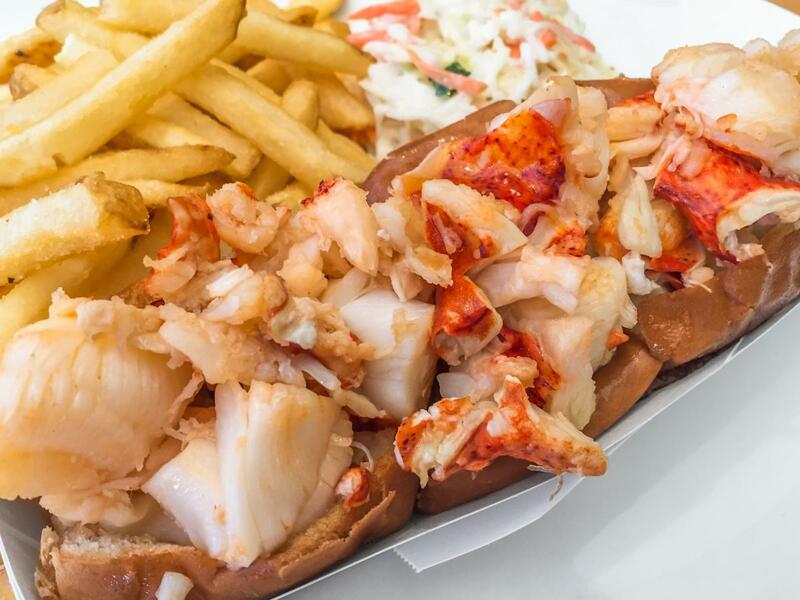 The hot-buttered version was added about two years ago, after the Legal staff noticed that their lobster roll as-was hadn’t made a list of best lobster rolls in the city, says Rich Vellante, executive chef for the Legal Sea Foods restaurants. The restaurant needed to fix this. Rich Vellante told me that the staff sometimes feels that Legal gets overlooked as a mainstay, part of the fabric of the city, which I think is unfortunate but accurate. People don’t demonstrate foodie cred by name-dropping Legal the way they do some other seafood restaurants around — too bad because I’ve experienced both quality and consistency throughout my many dinings at Legal. During the re-evaluation of their lobster roll, the team decided to offer more diversity in the form of my beloved hot-with-butter… except with an extra buttery, lobstery twist: lobster butter. Seriously. The butter is infused with lobster shells over eight hours, making for an extra-indulgent experience, served on a traditional soft top-cut bun that takes in the butter nicely. “Lobster is a great vehicle for butter,” says Vellante. Words to live by. Legal Sea Foods + hot buttered lobster roll = excellence. I love being right! 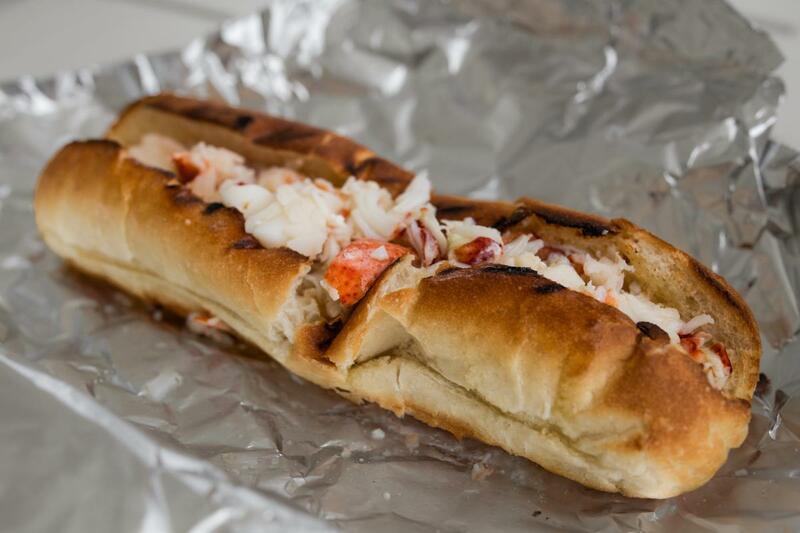 If you’re looking to make it at home yourself, check out Craving Boston’s earlier article on lobster roll recipes — including Maine, Rhode Island, Connecticut and Boston styles — by Dan Whalen. Nicole Fleming is the author of The Girl Who Ate Boston food blog. Follow her on Twitter @GirlEatsBoston and on Instagram @TheGirlWhoAteBoston.